Watson Home Hardware have been supplying customers with quality products at reasonable prices for over 50 years. 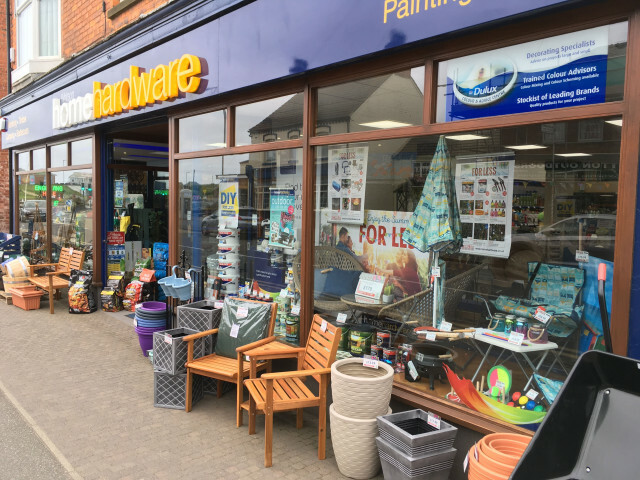 We have two shops in Sutton on Sea, one for DIY, gardening and leisure and the other for housewares and cookshop. In addition key-cutting, engraving, tool sharpening and paint mixing services are available and we have Rug Doctor carpet cleaning machines available for hire. Our shops are clean and tidy and staff always willing to help. Departments include: Calor Gas, cleaning. cookware, DIY, electrical, fireside, gardening, hardware, homebrew, housewares, lighting, outdoor leisure, plumbing, security, timber, tools. 15 High Street, Sutton on Sea, Lincolnshire, LN12 2EZ.